Hauteville and its twin Rageson show the graceful effect of tiered striped bullnose iron verandahs. 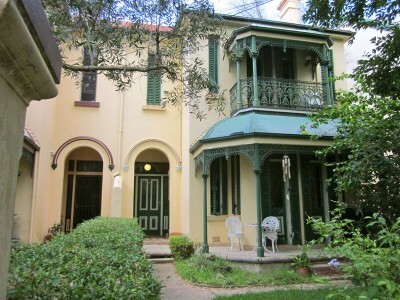 Opposite are two Victorian terraces with bay windows surmounted by a bullnose with balcony above (1885). No 16, Hauteville, retains its original shutters. Each has two single french doors at ground level and an arched, recessed doorway. 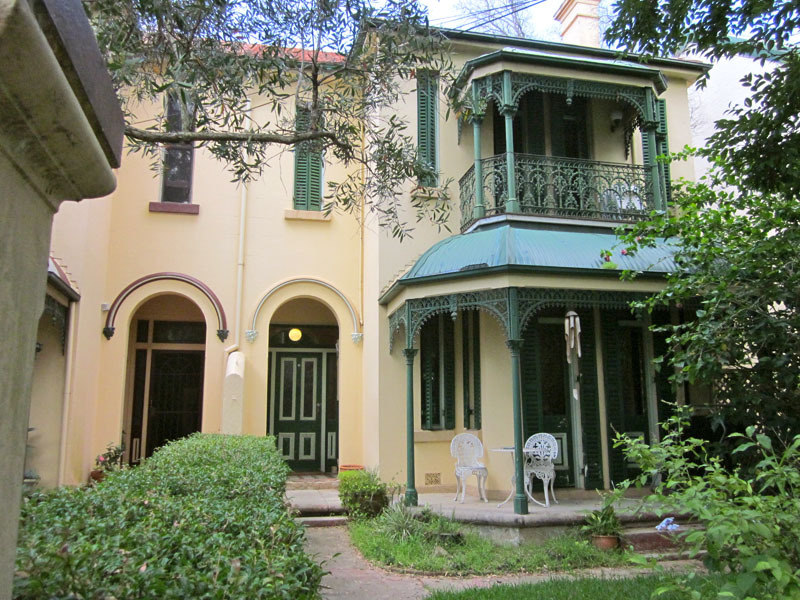 On the corner is Glencoe (1885), a mansion with two double-storey bay windows and a fine array of intact chimneys and pots.